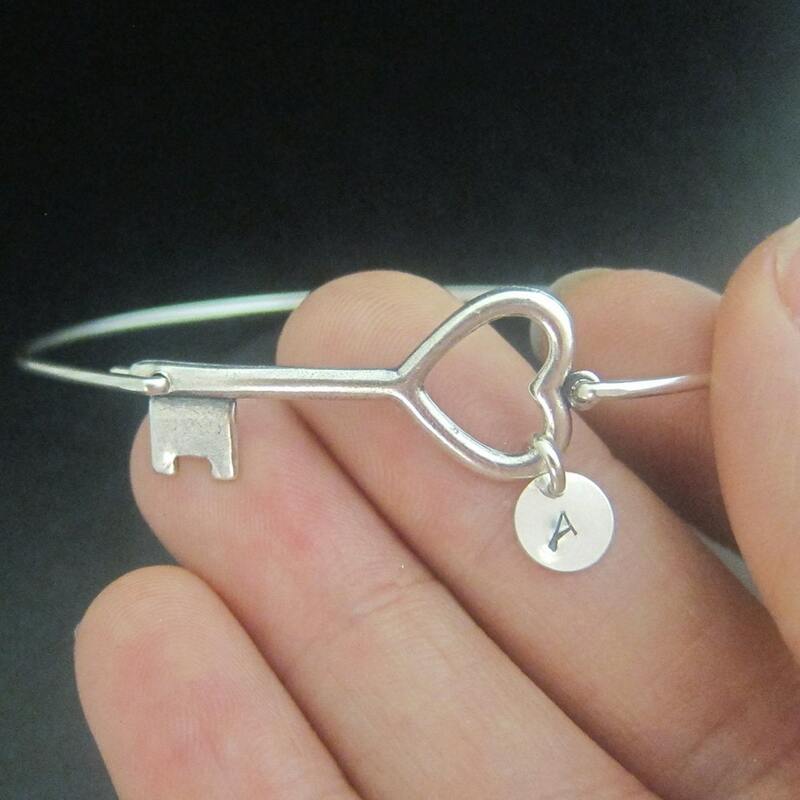 A key charm will be transformed into a personalized key bracelet with 1 to 3 initial charms. 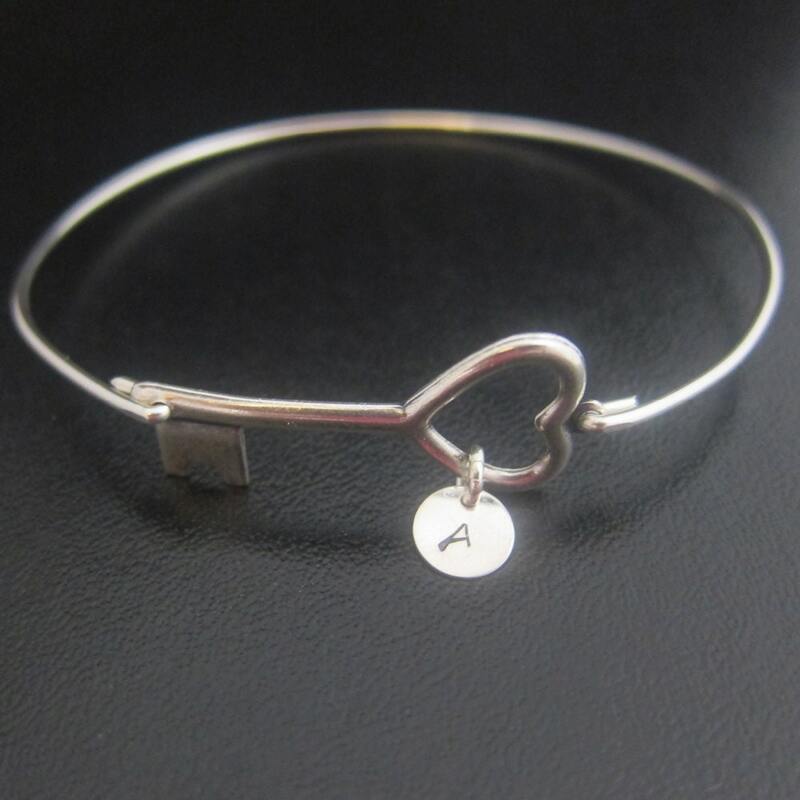 Select bangle band in silver filled or sterling silver to be paired with a silver tone key and sterling silver initial charms. Or select bangle band in brass of 14k gold filled to be paired with a brass key and 14k gold filled initial charms for your initial key bracelet bangle. 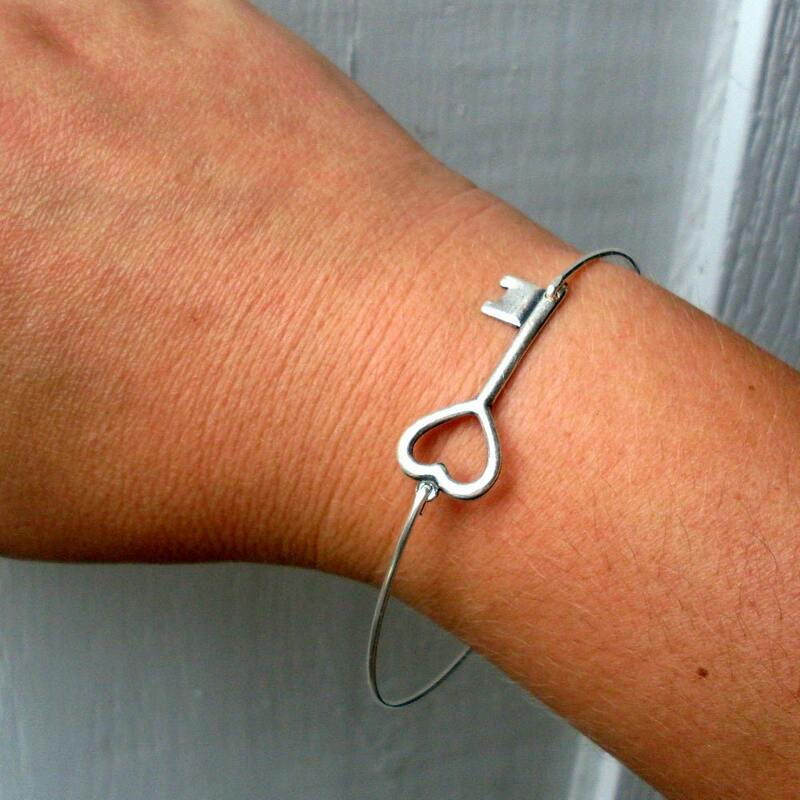 BETWEEN ANY TWO SIZES ABOVE: I can also make the bangles halfway between any two sizes above. This can be helpful if caught between sizes, or if you're estimating "size range" for a gift. Most people can fit into a few sizes. So going between sizes usually works fine if unsure.